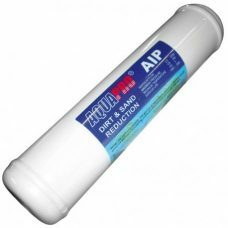 Welcome to Water Filtration Systems! 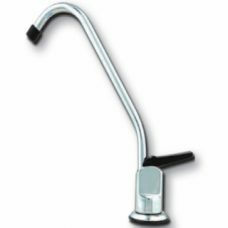 For all your water filter taps single output, twin chilled / ambient, 3 way mixer hot cold and filtered or even boiling hot water taps. 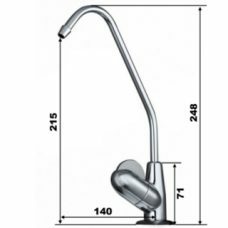 We have a wide range of water filter faucets / taps which will suit any kitchen or taste. 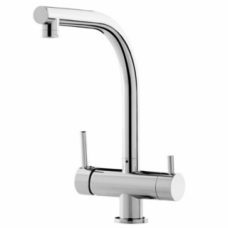 We have a three way water filter tap which can be used to replace your existing kitchen mixer, this means you do not need a separate drinking water tap. .
Mixer tap supplies hot, cold mains and high flow filtered water. The filtered water is supplied through a dedicated outlet keeping it separate from the mains water. 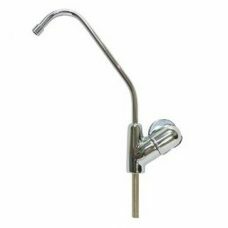 Brass chrome plated metal, quarter turn ceramic disc, highest quality faucet, spout can be swiveled left and right, fits all 1/4 inch water filter hoses, long lasting, low maintenance. 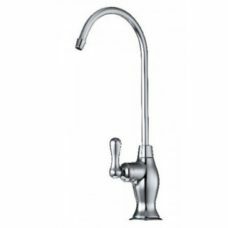 Premium tap supplies hot and cold mains water plus water filter line. The filtered water is supplied through a dedicated outlet keeping it separate from the mains water. 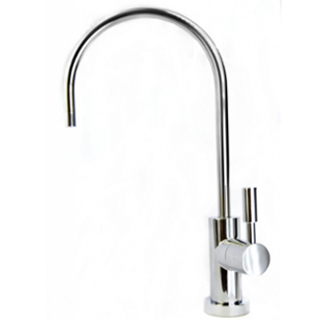 The premium tap supplies hot and cold mains water plus water filter line. The filtered water is supplied through a dedicated outlet keeping it separate from the mains water. 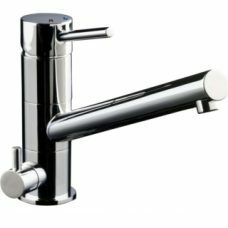 Brass chrome plated metal, quarter turn ceramic disc, highest quality faucet, spout can be swiveled left and right, fits all 1/4 inch water filter hoses, long lasting & low maintenance. 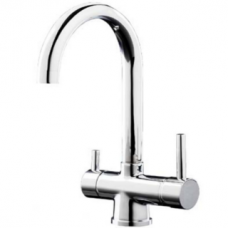 The premium tap supplies hot and cold mains water plus filtered water. The filtered water is supplied through a dedicated outlet keeping it separate from the mains water. 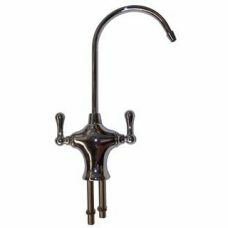 Brass chrome plated metal daul tap, quarter turn ceramic disc, spout can be swiveled left and right. Fits all 1/4 inch water filter hoses, long lasting & low maintenance. 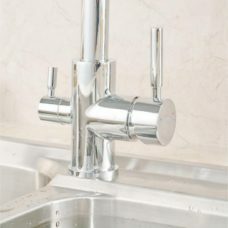 3 way mixer tap supplies hot and cold mains water plus water filter line complete kit. 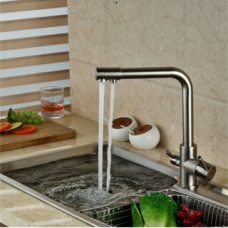 The filtered water is supplied through a dedicated outlet keeping it separate from the mains water. © 2018 Water Filtration Systems / Ring Hot Water. All Rights Reserved.